Rajani Kanth The Super Star for Star. Rajani kanth, the super star of Tamil cinema also mass Hero in Indian Cinema. Rajani kanth is Karnataka born actor who utilized his ability in Tamil cinema. He is Not only ruled Indian Movies he also a super star for world wide of commercial movie lovers. His recent movie Endiran broke all record in collection over worldwide. Rajani kanth was born as shivaji Rao in 12- December 1950 in city Bangalore in Karnataka. He was a fourth in their family where two brother and sister are elder to her and their parents ramoji and mother Jijabai . Her Mother was died in the age of 5 then he struggle to find the right way of life style. Rajani only finished his model school in Bangalore to Kannada his primary language. From 1966 to 1973 he worked many part of Bangalore and Chennai as daily wager. On 1973 he joined Bangalore Transport services as bus conductor which changed his life style later. When he worked as bus conductor Topi Muniappa offered him a role in stage drama mahabaratham as Duryodhana. This incident make great turning point in his life. After seeing his act on that drama his friend and co worker raj bahadur was encouraged him to continues to act. With his guidance and support he joined Madres film institute in 1973. When studing in institute he acted some stage show which capture by the famous Tamil director K. Balachander. He only advised him to learn Tamil. 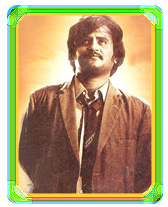 Rajani first movie apperence was in the movie name "Apoorva Raagangal" which directed by K. Balachander. Where rajani only appeared only 20 min at the end of the movie. In this movie he worked with Kamal hasan and Sri Vidya. In this movie rajai died at the end. On this movie only Balachander change Shivaji rao Name into Rajani, which was named his character name of Famoues comedy actor nagesh in movie "Major Chandrakant". On the first appearance he was open the gate and asked about Sri devi to kamal Hasan. In this move sri Vidya acted as rajani lover come wife. Later she rajani mother too. Rajani second movie was Kannada movie named "Katha Sangama" which was directed by Puttanna Kanagal in 1976. Then do many role as villain and charter roles in Tamil and Kannada movies. He done physic husband in "avargal". womanizer in "moondru mudichu". All this role with are directed by k Balachander and co-starred by kamal hasan. Rajani was villan in Bharathi raja first movie "16 vayadhinile", which change of south Indian movie face from studio to live location. His positive role was in movie "Bhuvana Oru Kelvikkuri" in 1977 which directed by SP Muthuraman, who always believe in rajani Image. "Bairavi "was rajani first appearance as Hero, directed by K . Balachandre. where he done good servant and take revenge after he raped his sister. Later he done movie "mullum malarum" directed "Ballu Mahandran". After many movie of combined kamal hasan and Rajani they decided not act again in same movie. so they acted two film of same directed SP muthuraman instant of acting One movie. Rajani acted "Aarilirunthu Arubathu Varai", which he acted as elder brother for three younger relation, this movie has silver jubilee and promote rajani as successful hero. Rajani done 26 movies before act in bairai as Hero in 1978. After that He acted rapidly in movies in Tamil Telugu Kannada and Hindi. Until "Garjanai " which was directed by CV rajandran which was released in Malayalam and kannada. That is the last movie for Rajani in both Language and since he not acted any directed movies In both language. Rajani 50 movie was "Tiger" where he appeared in guest which was Hero NT Rama Rao . Ranji completed his first 50 movie in the cycle of four year (1976-1979). His next fifty movies are comes with main next six year, means he acted average ten movies per year. In this year he acted some remarkable movies like "Billa" dual role which made black buster of that year "Murattu Kalai" which changed the face of rajani and biggest hit of his carrier, both the movie are directed by SP muthuraman. "Jhonny " Again he don dual role with sri devi and turned as music hit. "Pollathavan" in this movie was remake of old movie "justice viswanathan"." Kazhugu" full length Action movie." Thillu Mullu" Full length comedy and he don dual role and after long time back kamal act with rajani in this movie, this movie is all time rajani comedy movie. "Netrikan " rajani done duel role again as father and son, as father he was acted as woman weaker. "Ranuva Veeran " in this movie he acted with Telugu super star "chiranjeevi "where rajani done Hero and chirigive done villain. "Moondru Mugam " His first tribal role in that movie directed by SP Muthuraman. "Anbulla Rajinikanth" in this movie rajani acted as Rajani Kanth where Meena was acted as child actor in that movie later she acted pair with rajani in "Muthu". Rajani Kanth 100 Movie was "Sri Ragavandra" as hindu saint in that movie and produced my his gure K. Balachandre. This movie was score as much as commercial movies that make Him very disappointment. So he planned to stop to acting again but this master K. Balachander advices him to continues to act. At end of 1990 rajani acted 127 films which make him legend in South cinema and producer hero. In 1991 he acted 4 hindi movie. Then acted in Mani rathanam movie "Dalapathi" which based on story of mahabaratham. In this movie sri vidhya acted as Rajani Mother where she was rajani first heroine. Later he acted in movie "Mannan" as super hit that year which was directed by P. Vasu. Rajani first movie as writer is "Valli" which he played as guest role too. "Baasha" was released in 1991 which make him super star in Tamil Industry also which make biggest of rajani film carrier on that decade. In this movie his dialogue was written with political affairs which make big roamer of the came to politics, still it was continuous. Rajani 150 movie was "Padayappa" a black buster movie of that year. This movie released in 1999 directed by KS ravi Kumar. Rajani acted 23 films from 1990 to 2000 almost 2 per year. Still 2000 Rajani only acted 5 movies. Which became 3 hits and 2 minimum movies. His last movie "Eanthiran " which make more 300 cores in collection and made biggest hit of decade. Some place its make un broke able record also. Now he was 2nd highest pay actor in ASIA. His wife was Latha Rangachari, an Iyengar, married on February 26, 1981, at the age of 31 in Tirupati. They have two daughters named Aishwarya Rajinikanth and Soundarya Rajinikanth. His wife, Latha Rajinikanth, currently runs a school named The Ashram. His elder daughter, Aishwarya, married actor Dhanush on November 18, 2004 and they have two sons named Yathra and Linga. His younger daughter, Soundarya, works in the film industry as a director, producer and graphic designer. She married industrialist Ashwin Ramkumar on September 3, 2010.
he four times win the Tamil Nadu state film award for best actor in muth(1995), Padayappa (1999), Chandramukhi (2005), and Sivaji (2007).